Windows 7 to Windows 8.1 Start Button Converter is a freeware from door2windows which lets you easily convert existing Windows 7 start orbs (in .BMP or .PNG) to Windows 8.1 start buttons for use with Windows 8.1 Start Button Changer or CustomizerGod. 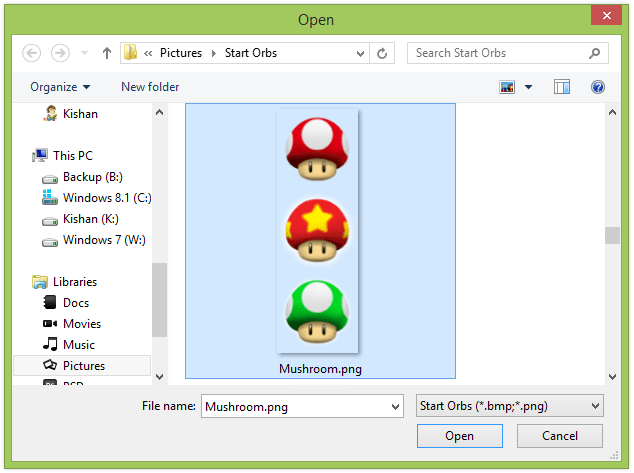 To convert a single start orb click the … button near the File Path textbox. 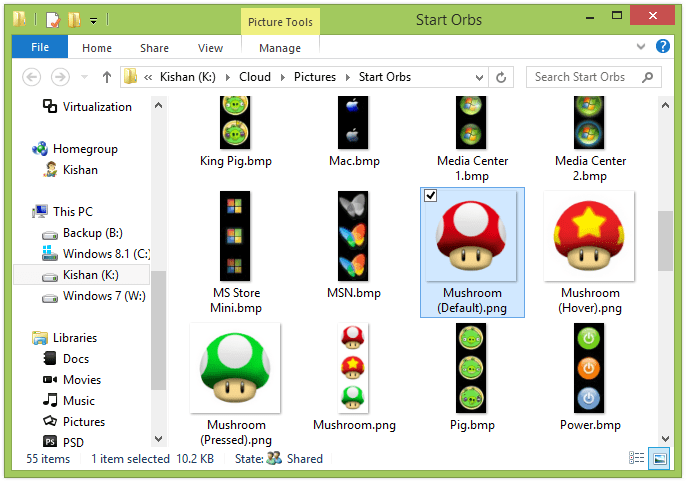 To convert a bunch of start orbs in a folder click the … button near the Folder Path textbox. The folder containing the converted start orb(s) will open. 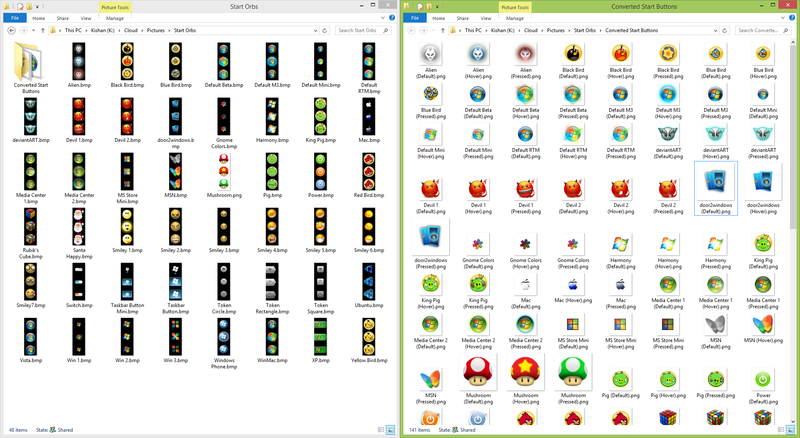 You can now use the converted start orbs in Windows 8.1 Start Button Changer.